These ideas of the students participating in Face It! 1999 reverberated through our heads. The students had called for a centre that was parent friendly but did not lose its charm as a youth hangout, which would also serve as a counseling haven for students. Besides they wanted a telephone Helpline. The final day of Face It!1999 had presented the broad outline for the place that the students had visualized. A committee of students picked from all the represented schools took the onus upon themselves to plan the future course of action. The first meeting of the ACTION GROUP (as they called themselves) was held at Boss Nova restaurant, a fortnight after the workshop. It was on this day the idea began taking concrete shape. The group formulated a VISION STATEMENT. Thereafter, weekly meetings at Ken McRae’s house up in beautiful Rajpur locales became a regular feature. The enthusiasm had to be seen to be believed. It was infectious. It was very heartening to see that the youngsters did not see this as a futile exercise. A mega school fete, a rock show, fund raisers etc. 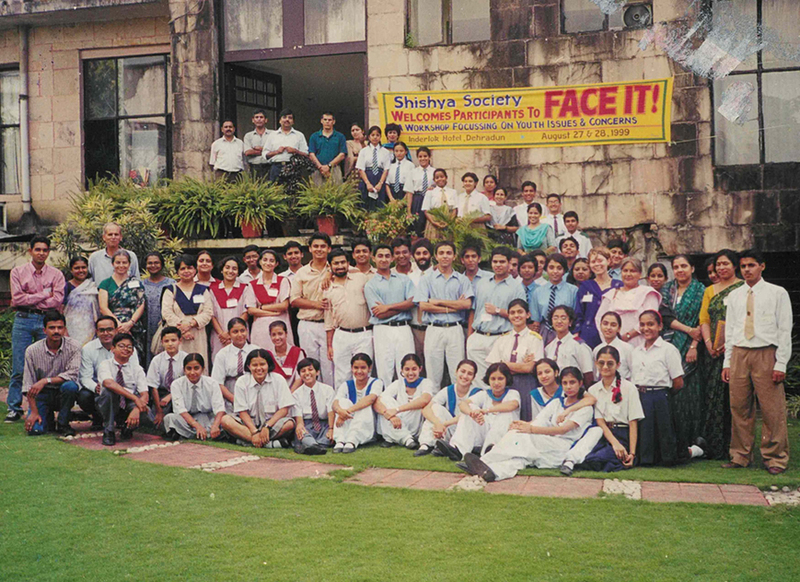 Amazingly this group never lost its focus of it main aim-a centre as had been talked about during Face It 1999. Exam time came around and the meetings stopped. They had met as a group for the last time discussing some grand plans for the centre…their centre. In the meantime, Ken McRae rented this place right in the heart of Dehra Dun. It would cost SHISHYA a fortune, but it was a small price to pay for what was absolutely required. A message was shot of to the erstwhile Action Group members some 8 months after they had last met. A few of them turned up and some sent in juniors to take up charge. This meeting was held at the place which was later christened DOON YOUTH CENTRE. Immediately grand plans for the place sprang up. From painting the doors and the walls to getting a full fledged kitchen running. Things had finally started moving in a big way. Counselors were trained. The core group, consisting of the remaining members of the Action Group and the new entrants got down to work. The place looked like it had a big party going on. The inauguration was planned for the last week of Nov 2000. A new committee was formed, consisting of a President, Vice President and a Treasurer, which was to charter the the course from here on. Unfortunately the committee remained just on paper as just the President remained. Exam time again it was. It was time for the old guard to take charge. A couple of members of the erstwhile Action Group managed the inauguration talk bouts. They did the talking and also got new entrants involved. Principals from about 21 schools of the city were invited and the inauguration was a sober and controlled display of what the place was all about. As calm as we pretended to be, our hearts were bursting with joy…our dreams had finally taken concrete shape. We had our place…DOON YOUTH CENTRE... …a place we could call our own.